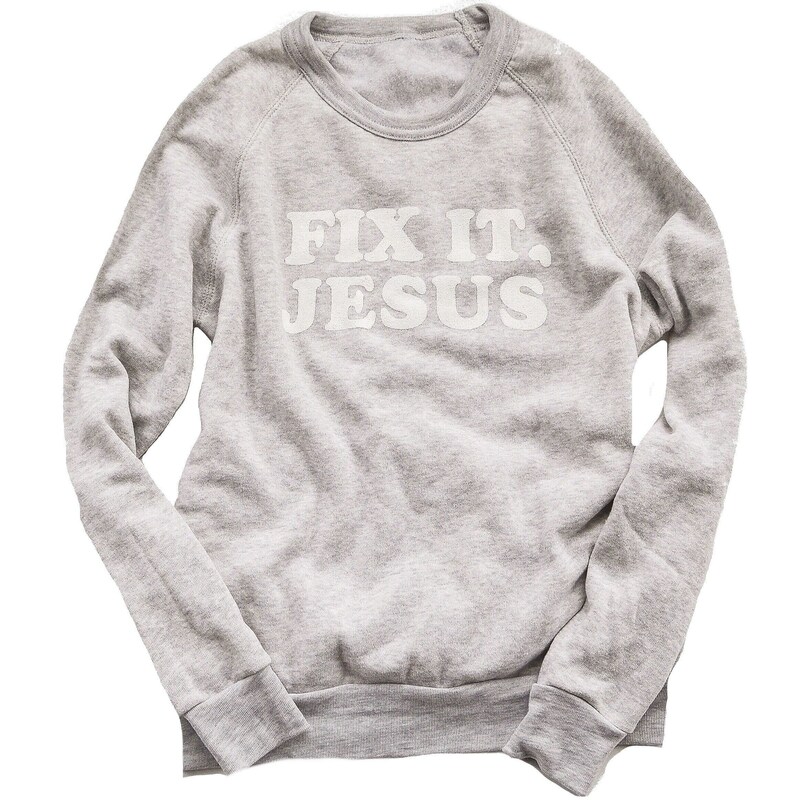 Fix it, Jesus! Whatever has you down, sometimes that's just all you need to say. 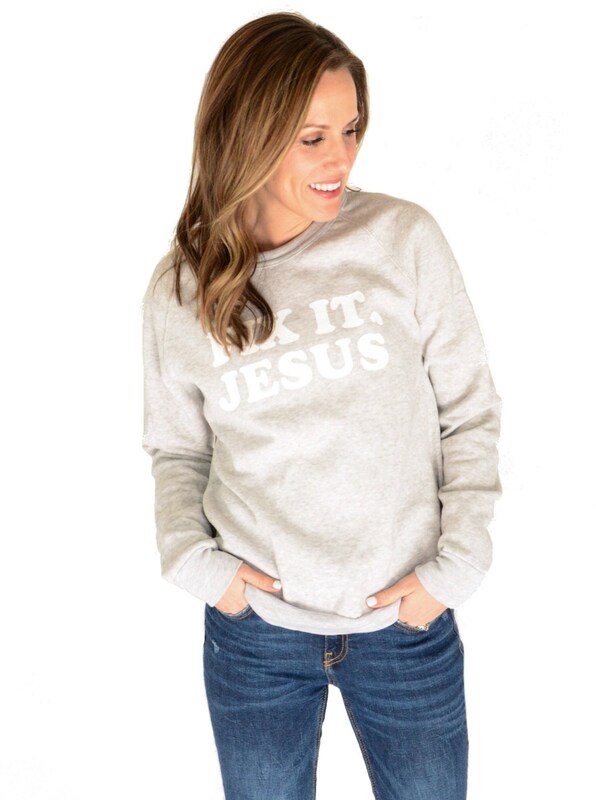 Printed in white on a soft, cozy, and warm Eco-Fleece sweatshirt in heather oatmeal. 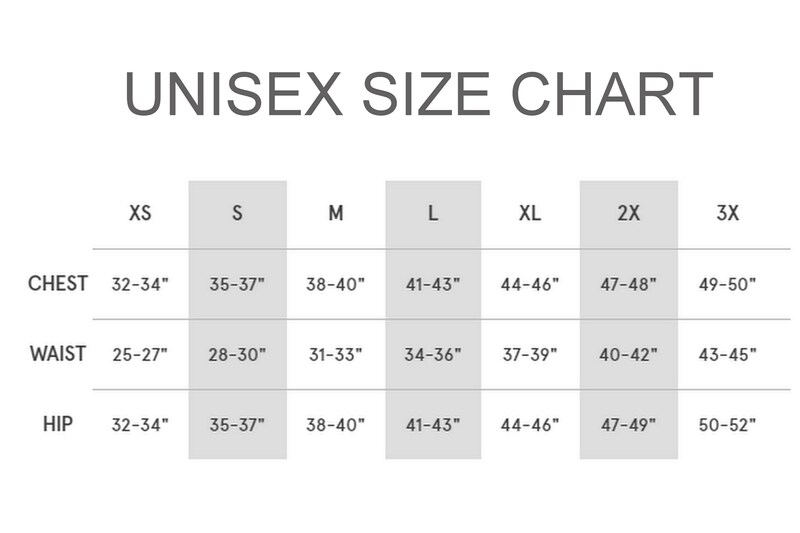 Please see the size chart in the last photo for any sizing questions you may have. If you are still unsure about sizing, please feel free to send a message. Current turnaround time is 2-3 weeks. All items are custom-made after the order is received. Returns accepted within 14 days of receipt. Returned items must be unwashed and unworn. Returned items will receive a store credit for the original purchase amount minus shipping. All orders are shipped via USPS with delivery confirmation. Once orders are shipped, they are in the hands of the USPS. We cannot provide refunds or replacements for items lost in the mail or damaged during shipping. Returns are accepted within 14 days of receipt for store credit only. Returned items must be unwashed and unworn. If your item does not fit or suit you, email us within 7 days of receipt for return instructions. We must receive returned items within 14 days. Once your returned item is received in our office, we will email you a store credit code for the original purchase price minus shipping. Your store credit may be used on a new size of the original item, or can also be used toward a new item from the shop. Refunds are only sent in the case of a defective item or other error on our part. All other items may only be returned for store credit. We do not accept custom orders or design changes. 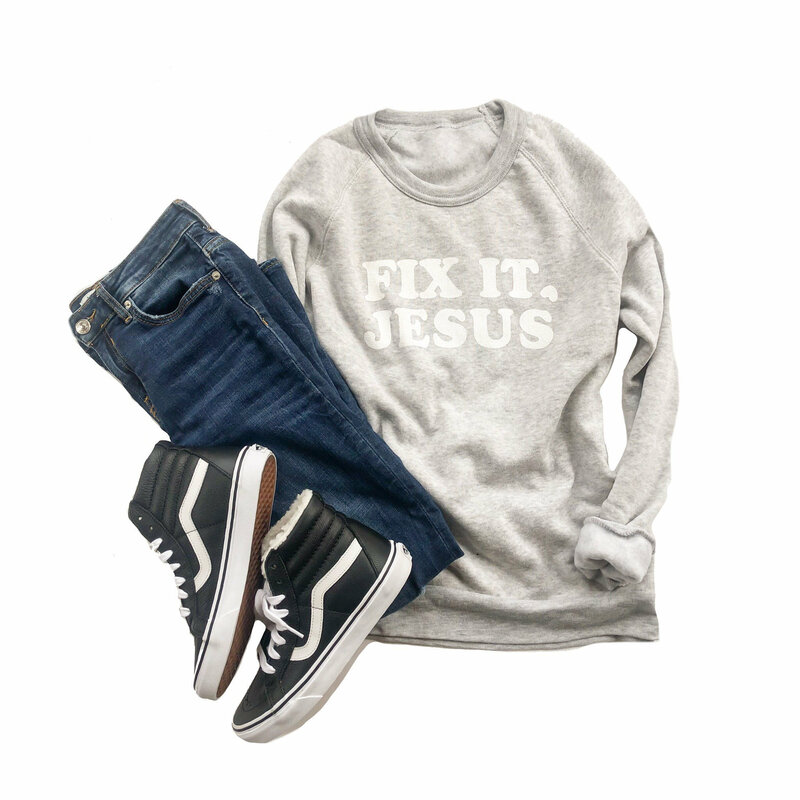 Super soft, and a old school vibe with the font.